Small Goals or Big Dreams? 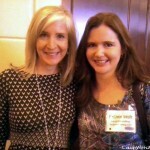 I was listening to Fawn Weaver from Happy Wives Club speak at Bloggy Boot camp in Dallas a few weeks ago. The conference was almost over, but I had had a wonderful time of learning new things and meeting wonderful people. I was sitting in the very front as Fawn talked about how she got her book deal. This lady is amazing how she went after and pursued her dreams and now just two short years later her book is a reality. Fawn encouraged the audience to think bigger. She was inspiring! Then all of a sudden she pointed to me from the stage! I know I stopped breathing. “Esther…” she paused, “…small goals!” She must have said a few more words, but those are the only three I remember, and then she went on. I was, well, mortified to be honest! I had connected with Fawn online through a blogger community a couple of years ago and was excited to meet her in person. I had that opportunity just before she went up to speak. As she stood talking to the group of us ladies, she was very much trying to help and encourage. 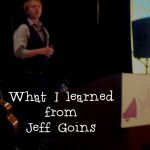 She went around the circle and asked each one of us, “What is your end game?” When she came to me, in a couple of short sentences I summed up my two posts What I learned from Jeff Goins and Why I still call myself a blogger. Basically I told the group that I had already met my blogging goals albeit they were small, and that I was just happy with what I was doing. I don’t have a desire for blogging to be a career. Right now I am a Christian wife, homeschool mom to five, and homemaker. That is my career! Granted it doesn’t pay much! Ha ha! Blogging has been an avenue for me to realize some of my dreams WITH my family like being able to travel and do some fun things. I don’t want it to take away from my family. Honestly, as I have listened to so many great speakers at conferences I am even more determined to limit my time spent in blogging. I have heard famous bloggers talk about the exciting things about making it big, being on TV, traveling, meeting famous people etc, but when it came to talking about their families and especially their kids there always seems to be regret. I don’t want that regret. I want to be around for my family. I want to be with them. I am at a place in blogging where I know that I could be doing more, making more with it. Believe me I think about those things. If I do a redesign, work more on SEO, take a photography class to improve my photos, work harder at more informational posts instead of just talking about my family…the list goes on…if I spend the time and money my site and traffic will improve leading to bigger and better opportunities. But guess what? All that takes time and or money, and it’s not time I can afford to spend right now. My family is too important. Now I may slowly work on some or all of those things over time, but it will remain a part time job for me right now. I am actually turning work away. I need the time more than I need the money. So, yes, my goals for my website may be small, but that’s only because I’m dreaming big in other areas. I have big dreams for my husband and kids, for our family. So what’s my end game? It’s raising children who will love the Lord and want to raise children of their own. It’s growing old with my man and still laughing together when all the kids are gone, and we can’t remember our neighbors’ names. It’s wanting to hear, “Well done good and faithful servant” when this life is over. Although I was mortified in being called out in front of everyone, I know that Fawn was only wanting to encourage me. I am excited for what Fawn and others like her are accomplishing. But me? I’m more than happy with what I’ve accomplished with my website and maintaining it (for now at least), and that’s okay too! 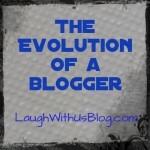 Why I still call myself a blogger. You have “made it big” at least with your family and friends! Agreed, there is a “right size” for every person’s dream, and there are the daily and weekly goals that add up to that dream. For us, it’s to delight and enrich kids and families with our music, to the point where we can support our family on that. We don’t need to get yacht-and-mansion big with this, nor do we want to compromise our family life to the level that would take – perhaps constant touring – the idea is to have this experience of writing and creating music draw our family closer together. Kudos, Esther! I love your perspective on this! At the same time, you are right — everyone has their own goals. We don’t all feel the need to think big; being content, having that time to spend with family, that in itself is big. This is perfect! 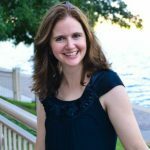 Fawn is very inspiring- but so are you- And when you small goals, I hear, “Blogging’s a smaller priority”- and I think that is a great way to keep balance and contentment! That was beautifully worded, Esther! You have done a wonderful job with your blog and your family isn’t suffering for it….they are benefitting! I think you have an amazing balance! You are so right, family has to come first. So glad you took such a great stand. 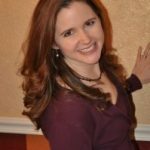 You are a great wife and mom! Thanks, Esther! Just over Thanksgiving I told my husband I think I want/need to scale back and reset my priorities. You’re the second person I’ve read sharing a message of “sometimes small is right.” It’s a message much appreciated! The proper priorities make all the difference in the world, especially in faith and family. I’m with you Esther. My blog is pretty much about encouraging others to be the best health wise in order to live their best life for the Kingdom of God. I’m not trying to sell anything and I too home school. My time is spent with my family for the most part and trying to blow my blog up would take time away from my family that I really can’t see doing at this stage of the game. I love your response! Yes, it is a huge commitment to move from one level to the next… great if that’s what you truly want, but if you are happy and if you are achieving what fits your life and your family’s life… THAT is success! It would be different if your reason for not moving forward was fear… then it would be reasonable to push you to achieve the next level, because fear should never be the motivation to stay in the “safe bubble”. But priorities are always a good reason to decide whether you want to move forward or be content, at least for the time being. You may reprioritize when your kids are older or grown… and that’s okay, too! I love this post and I love that you know what your goals are – you are SO right. We all have different goals and we all need to be at peace with our goals – it doesn’t always need to be a rat race. 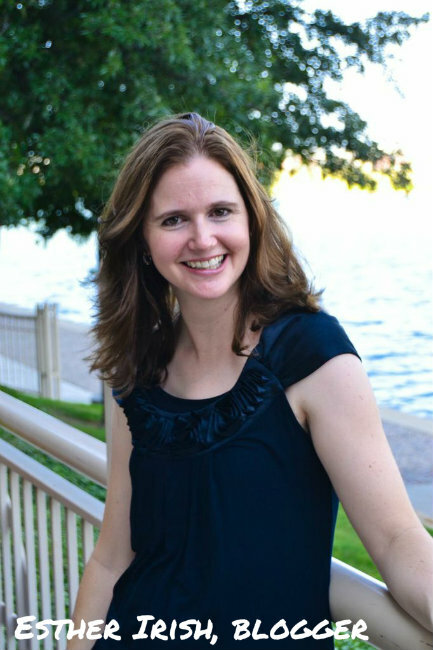 I enjoy reading your blog & was at the Bloggy Bootcamp Dallas 2013. I loved listening to Fawn speak & have read her book. And you are right, we all have different sized goals.